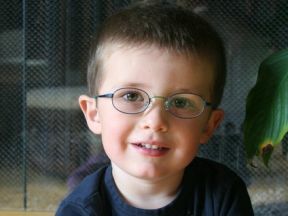 Reid, 3 years old. He wears glasses for farsightedness. The glasses in this picture are +6 prescription. He now has bifocals.